Richard, AB'69, and Ann Pozen's $6 million gift endows the human rights program, strengthening its place in the University's liberal arts curriculum. A new Department of Ecology and Evolution research station is the first laboratory in North America built to ultraefficient Passive House standards. 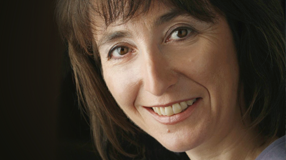 UChicago alumni recount the transformative events of 1964. Sherwin, AB'05, devises a new research method to study the decision making of athletes in competition. In The Invisible Bridge, the third volume in Rick Perlstein's (AB'92) history of the rise of modern American conservatism, "it's his insights that are the news." Law School professor Thomas Miles finds that state's attorney involvement at the neighborhood level leads to a substantial reduction in violent offenses. Noah Berlatsky, AM'94, argues that even the most unflinching portrayals of combat treat "the horror of war as the font from which good flows." Rather than distracting him, idle drawing helps philosopher Jesse Prinz, PhD'97, focus his attention and later reconstruct information he receives. Evolutionary biologist Marcus Kronforst's local butterfly chase nets interesting results. Enter the world of comics--and win a signed copy of associate professor Hillary L. Chute's new book about how they're made. 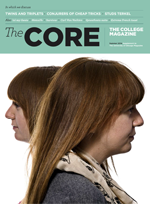 The summer issue of the Core is now available online, including a profile of competitive computer programmers and a recap of the campus festival celebrating Studs Terkel, PhB'32, JD'34.